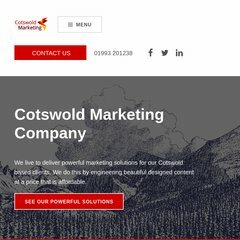 www.Cotswoldmarketing.co.uk - Home page - need help with sales? ns2.titaninternet.co.uk, ns3.titaninternet.co.uk, and ns1.titaninternet.co.uk are its DNS Nameservers. The programming language environment is ASP.NET. It is hosted by Wickedly Fast Uk Isp (England, Essex,) using Microsoft-IIS/6 web server. PING www. (85.232.39.156) 56(84) bytes of data.